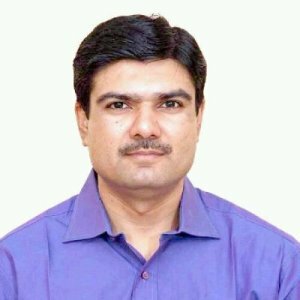 Dr. Vishal Varia (Vishal) is Managing Director of Rosary Education System, Rajkot. As a Director, apart from leading the team, he is frequent contributor to “The Open Page”, where he efforts to influence the educators through articles. In all, He is a committed professional and constantly striving to have noteworthy contribution in the Education Fraternity. 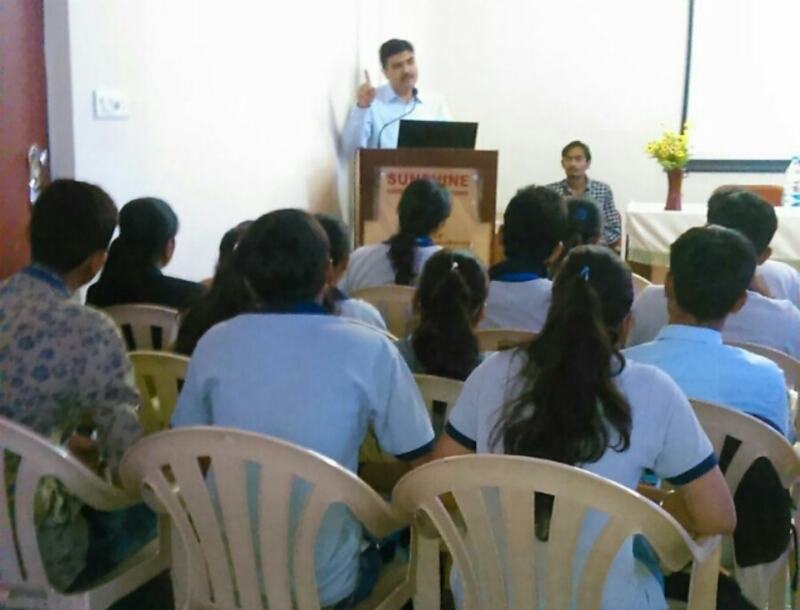 He speaks about his career and career counselling in an interview with Amarjeet. 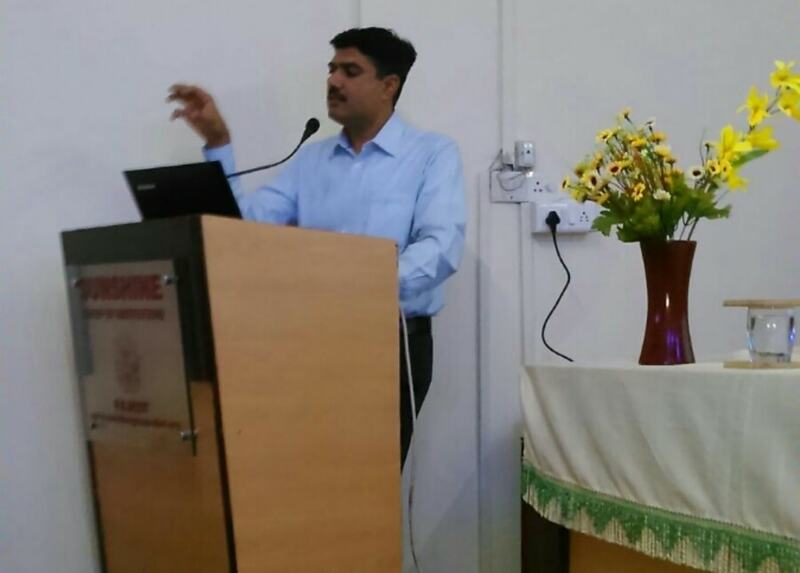 Vishal: When it comes to education I’ve made an exhaustive combination of Management, IT and Education. I’ve done graduation in BBA, completed Post Graduation Diploma in Advanced Computer Applications and DOEACC “A” levels, and persuaded my career in Education and achieved the highest qualification i.e. Ph.D. in Education. This combination has made me an indispensable resource and a sought after personality in education field. I’ve also served as a Computer Programmer, Lecturer, Administrator, Principal and now a Director. As a lecturer I’ve contributed many hands on material to the benefit of students and two distinguished titles “Cracking University Exams in Networking” and “Systems Analysis and Design”. As an Administrator, I’ve many informal manuals and hands on contributed that are required for smooth operations of an Educational Institute. As a Principal, I have some informal contribution of articles in the local monthlies and a book “Adarsh Shikshan” that I have published for the present employer. Vishal: Joining the Education Fraternity and having worked as Lecturer, Administrator and Director, I strongly felt the need for counselling. For me Counselling is not only career counselling but also education counselling where I would have solutions delivered to stressed students, over expecting parents and modern day confused teenagers towards setting proper goals and working in the direction of achieving them. I have personally counselled students of my school on group and individual basis where I would be making efforts to make them realize their potential and show them the path to progress. Counselling to me, is a full time job. As a teacher, mentor and guide, one should be always be engaged into counselling whether formally or informally. I am not only involved into personal counselling of students of my School but also strive to contribute to the Fraternity by visiting Colleges and Universities to counsel a broad mass of audience who is ready to be out with qualification. I am more focused on contributing towards preparing and producing committed personnel rather than opportunist professional. I strongly believe, that whatever career or profession an individual be, he or she is always in a position to contribute to the society by way of sound professional practices. We have many donors who have spent their early life in earning and are now set to spend their lives in charity for social benefit. Such donors contribute their wealth. But professionals who have sound professional practices and a good moral character are the true contributors of the society. They not only contribute by paying the taxes regularly but also contribute their share in knowledge development and research which is the need of the time. Vishal: Students at teenage are often bombarded with plenty of materials and prospectus which often confuse them rather than to provide a solution. Counselling means to provide solution suitable to the candidate. They may not necessarily have a question but they will always have some insecurity towards their career that needs to be identified and answered. As an educationalist, my effort are to provide career information to higher secondary students where they will be informed about a single career at a time, say Accountant, Statistician, Banker, etc. In this way I ensure that a student of commerce would have relevant career information by the time he sets out with graduation. My focus is on career as means to contented living and not just money making. I would strongly recommend one to focus on skill sets and interests rather than qualification and titles. By this way I ensure that a strong message is passed on to the incumbent that with their successful career the success of society and nation is depending. If you achieve your required success then you are sure to contribute in the field which in turn is a step taken towards nation building. Vishal: I often recommend students to get their skills assessed with a variety of scales and inventories that are readily available online. In case the candidate is capable of spending some money then he is suggested to take professional assessment available in the market and get his skills evaluated. Depending upon the need of counselling I suggest the incumbent to take DMIT test, Psychometric Career tests offered by professional institutes and various online skill assessments for particular career. Vishal: Just as we undergo various tuitions, professional certifications and skill development program; Career Counselling is a much needed ingredient before selecting such programs. If student has undertaken professional career counselling and have had his skills assessed then he would have a better futuristic view of his career and a proper direction where he can keep on climbing his ladder of success and achievements. A candidate who does not have such counselling undertaken will have a zig-zag graph of his career which eventually leads to un-pleasing professional practices that is unhealthy for the society. Detailed knowledge about various qualifications, their processes, Awarding Universities and Institutes. Scientific solutions to career issues. It is not necessary that how many candidates you counsel, but it is more necessary that how many candidates took your counselling seriously and followed it and found contentment therein. In the long run quantities will not matter but quality will surely matter. You need to have satisfaction and feeling of contentment in the candidate you counsel as this will result in fetching a good life along with a good career and thus your contribution towards nation building can be considered. Vishal: Doing research about the market needs and the gap in the skills development is the only way one can find solution to this. It is not new careers that are found but it is the new requirements that develop into a career. So one must keep a close watch over what requirements would crop up in the future starting with short term (5 year) or long term (10 years) down the line. Content Writing in Websites and Catalogues is one such requirement that has developed into a career. This may not require any qualification but an impeccable skill for representing your thoughts and a good command over language of communication. As a career counsellor, one must be abreast with such requirement of the times and must be able to convince the candidate to possess such skills. Vishal: Instead of visiting Career Information resources I study the trend analysis of the recruitments done nationally and globally. I simple type up a question on Google, and do such brooding over the research articles submitted at large for the benefit of many. This way I keep up with the requirement of the times and suggest the incumbent about the future readiness he or she should have. AS: Share the names of 3 people you respect when it comes to Career Counselling? Anand: CareerGuide is doing a wonderful task of reaching to the people in an easy and comfortable way. Students who require counselling are often scared of imperative approach of the counsellors. Providing Career counselling in informal manner and in a transparent way is a brilliant work carried out by Career Guide. Also, in present times, where Self paced learning is gaining good ground, providing Self – Appraising counselling is a very good approach of Career Guide and that also from the expert and established professionals. I wish, Team CareerGuide all the success in such endeavours.